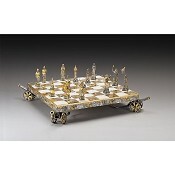 The Piero Benzoni Historic and Artistic Collection offers expensive onyx chess boards with details and supports handcrafted in 24ct gold plated and sterling silver plated solid bronze. 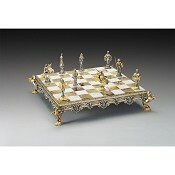 These luxury themed chess boards feature historical details on side panels and legs forming a historical context for the field of play. 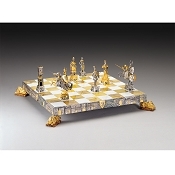 Available as part of the complete sets, you may also purchase any board, individually, to match the chess pieces as you desire. 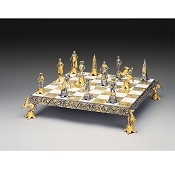 Piero Benzoni, the sculptor and a renowned master of the lost wax casting method, signs each of these expensive chess boards. 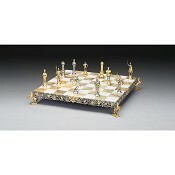 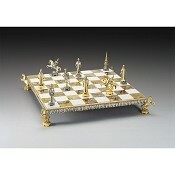 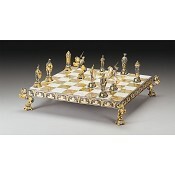 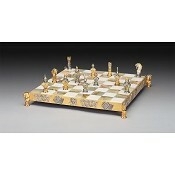 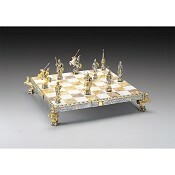 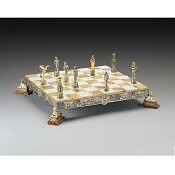 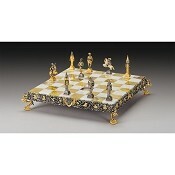 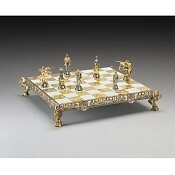 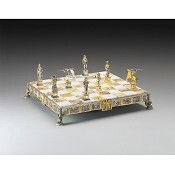 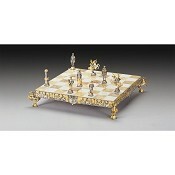 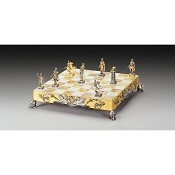 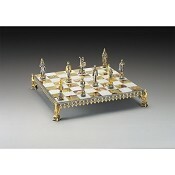 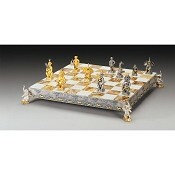 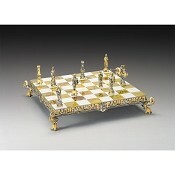 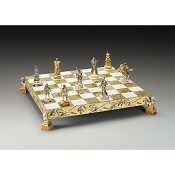 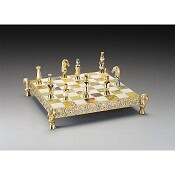 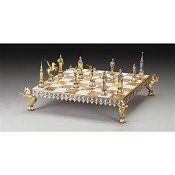 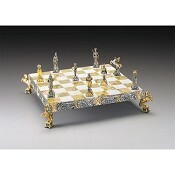 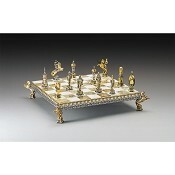 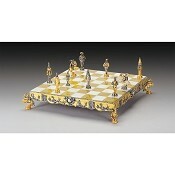 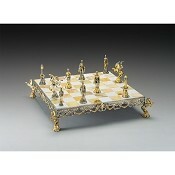 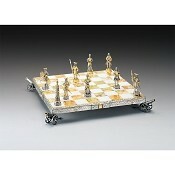 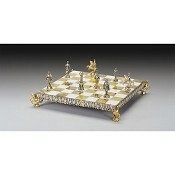 The expensive luxury chessboards, Piero Benzoni, are some of the most desired collector?s chess boards available.